Although our head office and commercial kitchen are located in Artarmon we service all of Sydney. 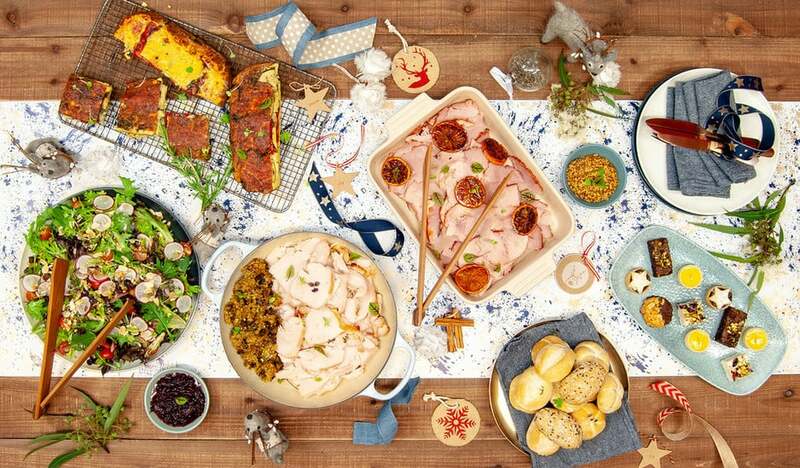 Morning tea, lunch, cocktail events, sandwich platters, finger food and more. Online ordering. Whether your catering needs are for a small sandwich platter or large scale on site event, look no further. 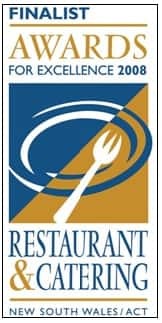 Our services include private and corporate catering, drop off platters for meetings and events, weddings, cocktail parties and buffets and BBQs. Your next event will be the talk of the town! Customer service and the food was very good. We ordered for a small event at quite short notice. 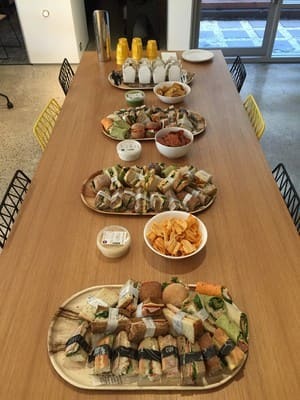 Flavours Catering was very helpful, delivered on time, and everyone at our body corporate annual general meeting thought the food was very tasty and beautifully presented. I would certainly order from Flavours Catering again. Thank you. The customer service here was good. I got exactly what I ordered, on time and the food was tasty. Their website is pretty temperamental though, it takes a while to load each page and often times out. All in all it was a good experience. We ordered a lot of the sandwiches and the small salad pots. Everyone really enjoyed everything and I would definitely order from Flavours Catering again. I like that they have options to cater for everyone. It is surprisingly hard to find catering companies with a lot of choice and healthy options. We also ordered only two days before, their flexibility is highly appreciated. I would recommend Flavours to anyone looking for a catering and events company. I recently ordered corporate catering for an event my company was holding and had nothing but great reviews from all who attended. The food was nothing short of sensational, made the event very special and was appreciated by so many I loved the menu, I loved the presentation and it was delicious. They exceeded my expectations and were so reliable. I would definitely use flavours again in the near future!! We used Flavours two weeks ago for my husbands 40th, their folks were fantastic and impressed everyone with the quality of food and the service to the point where guests were asking for details of the caterer so they could get in touch for future events. I really can't say enough about how well this whole event came together thanks to the staff and chef. Won't hesitate to hire them again! If you were considering Flavours Catering for your large function or event, then I strongly advise you read my review (right to the end).